Small businesses may lack the marketing budget of big brands, but sprinkle a little social media magic to generate maximum returns. 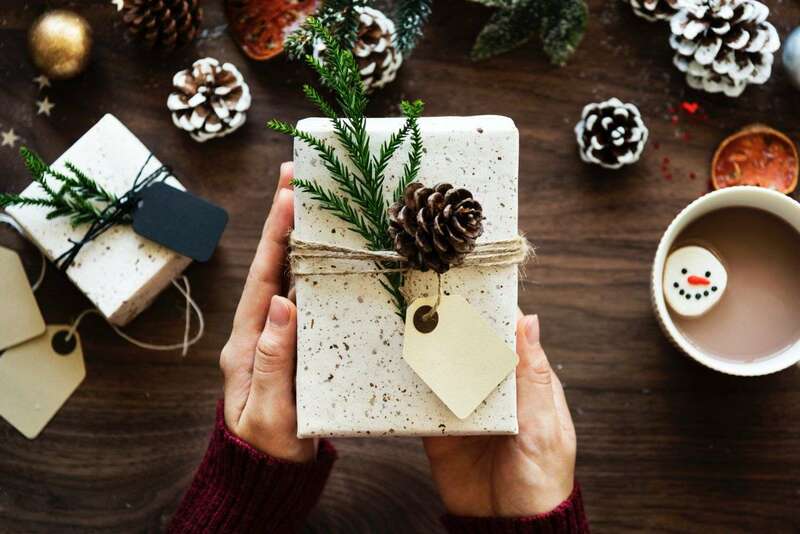 Christmas season is in the air – everywhere you look there are bright lights, baubles, and brands looking to make the most of the busiest shopping period of the year. That’s right, the Christmas holidays are upon us and it’s time to get started on that magical, money making marketing strategy. During this time of year, shoppers tend to flock to the shops in search of the perfect presents for loved ones. With all the craziness and competition out there, how do you capture the attention of your audience for long enough to encourage sales? The secret to sales for your e-commerce business this Christmas is social media marketing. Below is everything you need to pull it out of the Santa’s hat this season. How do you connect with different audiences that are flooded with advertisements? You make them your focus. People like to see creative content that places them at the center of your marketing campaign. Think about who buys your products? Create audience personas for your customers? Showcasing inventive marketing campaigns with images of your audience will drive engagement while sending an emotional message they can relate to. Everyone is jolly. Think of your social media platform as a blank canvas of which you can dress with Christmas decorations. Make your Twitter, Facebook and Instagram profiles look fun and festive. Bright, eye-catching interactive posts will capture the attention of your audience encouraging likes, comments, and shares. Consider the customisable features available on individual platforms. For example, Facebook has a plethora of post options for you to feature in your social media strategy; Facebook canvas, video marketing, 360 photos, reaction posts and much more. Over on Twitter, you can run Christmas polls on your most popular products of the season. Explore, entertain and engage – just make be sure to plan ahead! Social media marketing is not restricted to your page. Think of the bigger picture. Do you want to reach new customers? Ones that are already searching for your products? This can be achieved through a carefully planned advertising campaign. Two billion people use Facebook every month. Through the power of Facebook Advertising, you can target the right people for your business. Using what you know about your customers (social media insights), such as demographics, interests, and behaviors, you can communicate with them in seconds. The next step is to leverage geo-targeting tools to see where your customers are located. You can then create content that relates to their personal shopping experience. If you are thinking Christmas would be a good time to give social media a rest, then think again. Business doesn’t rest for anyone, especially on Christmas Day. Your audiences will be logging on to their social media accounts to share pictures of their presence with loved ones. This is the perfect time to share a ‘Merry Christmas’ message with your followers. You don’t even have to tear yourself away from the festivities as all posts can be scheduled in advance using tools such as Sprout Social and Hootsuite. Don’t forget to make the most of the post-Christmas sales by offering your clients discounts on your most popular products. Play with bright text and fonts with graphics that catch the eye when scrolling through your news feed. Christmas is one of the biggest buying seasons of the year with over 20% of a retailer’s annual revenue achieved in one month. Take every opportunity to entice potential customers with limited time offers. One time only, buy one get one free, special discounts and holiday coupons are all great for last minute purchases. One of the most popular shopping days is December 18th – otherwise known as the day businesses offer free shipping and guaranteed delivery before Christmas Eve! Do you have any seasonal social media marketing strategy for Christmas tips? Will you try the ones we’ve suggested? Let us know in the comments. Emily Cocker is a Digital Executive in the UK leading social media agency, Bigfoot Digital, who specialize in creating engaging social media content that drives online sales and website traffic. She has a passion for creative content and all things digital.